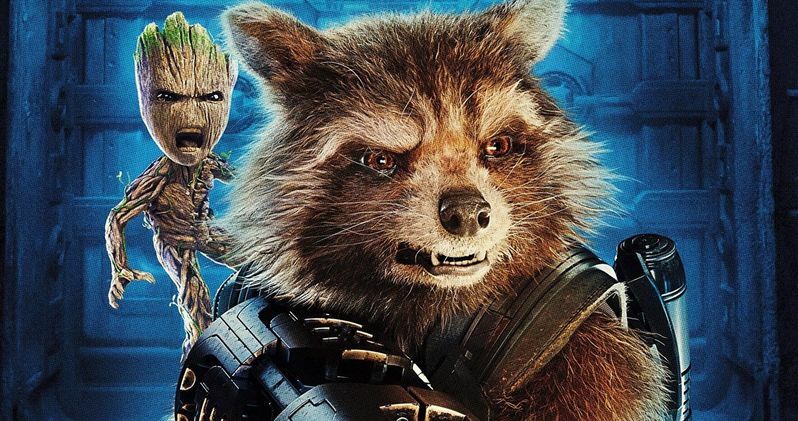 Are Rocket and Groot heading to the small screen? According to a very interesting new rumor, that may be the case. Disney is getting ready to launch their very own streaming service, officially titled Disney+, late next year and they're not going to skimp on the content. As we recently learned, their original programming will include Marvel shows featuring characters, as played by their respective actors from the MCU. Now, it looks like a couple of the Guardians may be on deck for one of these shows. We must caution right up front that this is merely a rumor for the time being as it hasn't been confirmed by anyone at Marvel or Disney. Even the report makes very certain to note that this exists squarely in the rumor realm at the present time. That being said, one of the shows reportedly being pitched to Marvel Studios President Kevin Feige, who is going to be directly involved in these shows, is centered on the duo of Rocket and Groot. Rumor or not, this makes sense for several reasons. For one, Guardians of the Galaxy Vol. 3 has been delayed indefinitely following James Gunn being fired from the project. That means the MCU's favorite bunch of A-holes aren't going to be back on the big screen for some time after next year's Avengers 4. So why not have Rocket and Groot go do their thing on the small screen for a while? And they were paling around long before the events of the first Guardians movie. A prequel exploring what they were up to before meeting Star-Lord, Gamora and Drax could be a perfect fit for a TV series and the kind of thing that couldn't really be explored in a movie. While it may sound like an expensive idea, that doesn't seem to be an issue. The indication is that Disney is going to give these shows, which are being viewed more as one-off miniseries ventures, budgets comparable to that of a big-budget movie. Disney CEO Bob Iger recently confirmed that a Loki series is in development and headed for Disney+, with reports of a Scarlet Witch show, as well as a Falcon and Bucky series also in the works. Rocket and Groot seem to fall right in with the types of characters who are getting shows for the streaming service. One benefit is that Bradley Cooper and Vin Diesel, who voice Rocket and Groot respectively, don't actually have to be on set to make this happen. They can just do their voice work in the studio at their convenience, making this all the more realistic. If this rumor does turn out to be true, the question becomes when would we see it happen? That's more difficult to answer. The earliest would seem to be 2020, as Disney+ isn't even set to launch until late next year, but with Loki's show already confirmed to be on deck, 2021 seems more likely. We'll be sure to keep you posted as any new information on this front is made available. This news was first reported by That Hashtag Show.